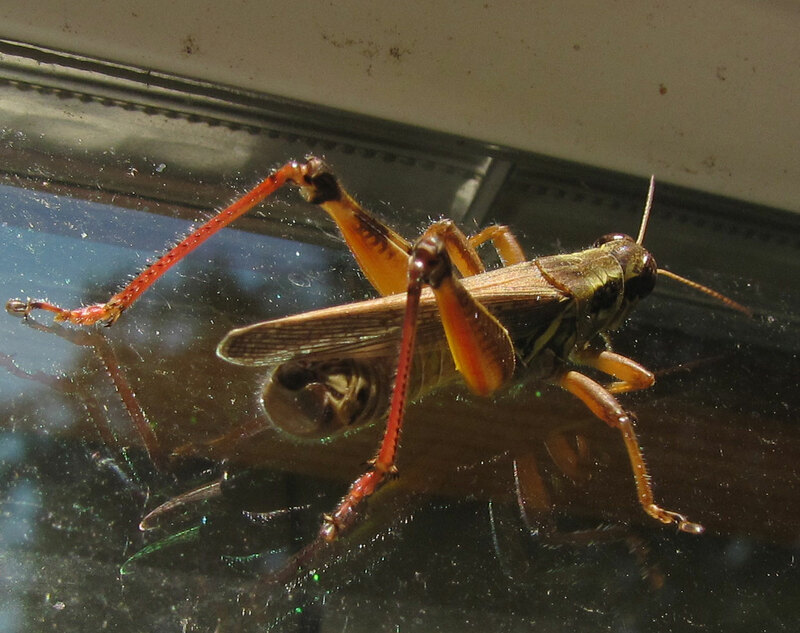 We have now confirmed that this is a grasshopper - not a cricket. 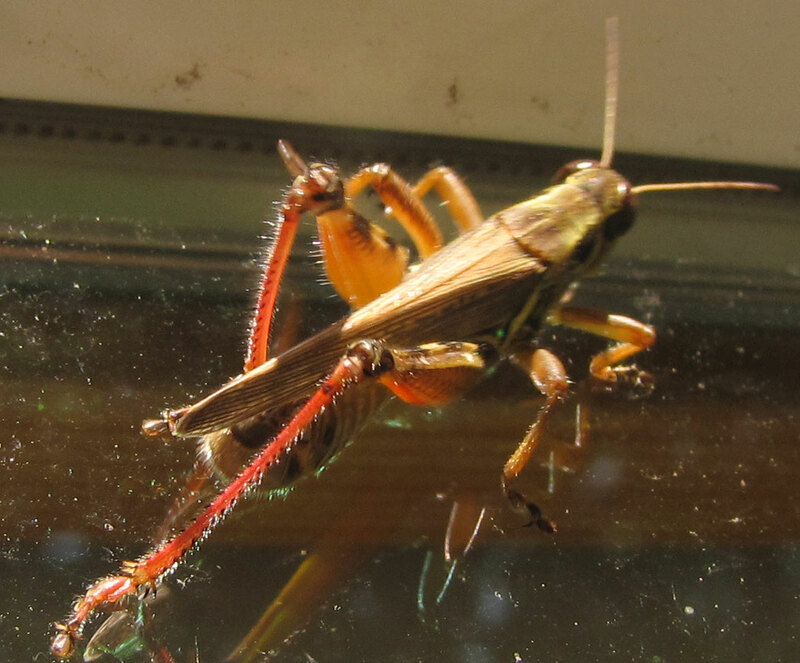 This is apparently a male Melanoplus femurrubrum - a "Red Legged Grasshopper". You can see why! It is part of the short horned grasshoppers (Acrididae) family. This photo was taken on our back porch in Sutton MA in September 2009.